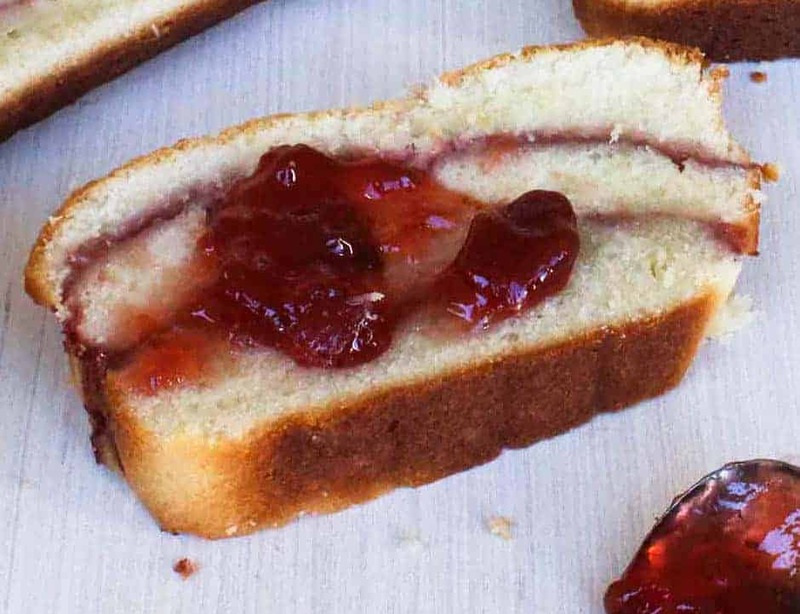 This Strawberry Cream Cheese Pound Cake recipe is a house favorite of ours. The pairing of strawberries with cream is unbeatable. The fresh strawberry sauce is truly something special. Luckily, this makes two loaves, so this recipe should at least get you through the day! It’s really that delicious! 120% Loon Approved. Wow, oh wow! This is so incredibly delicious! 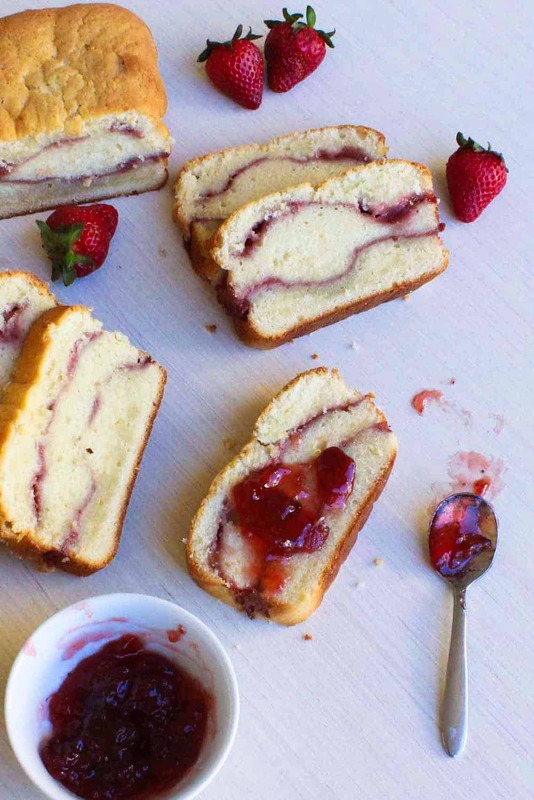 We just love strawberry and cheese pound cake! You just gotta try this awesome recipe! Yum!! This Strawberry Cream Cheese Pound Cake marries to of our favorite flavors, strawberries and cream! The cake is moist, delicious and makes for a beautiful presentation. This one is a keeper for sure! Pre-heat oven to 325 F.
Spray 2 (9"x 5") loaf pans with baking spray with flour, then line with parchment paper, letting excess extend over sides of pan. Spray the pans again. In the bowl of a stand mixer fitted with the paddle attachment, beat butter and cream cheese at medium speed until creamy, about 3 minutes. Add sugar and vanilla; beat until fluffy, 3 to 4 minutes, stopping to scrape sides of bowl. In a medium bowl, whisk together flour, salt, and baking powder. Reduce mixer speed to low and gradually add flour mixture to butter mixture alternately with cream, beginning and ending with flour mixture, beating just until combined after each addition. Transfer the batter into two separate bowls, with equal amounts in each bowl; set aside. Spoon one-third of one of the bowls of batter into 1 prepared pan. Spread 1/4 cup Strawberry Sauce onto batter. Repeat with another layer of batter and then 1/4 cup sauce, then topping with the last third of the batter. Using a wooden skewer, gently swirl batter (optional). Repeat procedure in the other prepared pan with the remaining bowl of batter and Strawberry Sauce. Tap pans on counter twice to release air bubbles. Bake until a wooden pick inserted in center comes out clean, about 1 hour and 10 minutes. Let cool in pans for 10 minutes and then removed from pans, discarding parchment paper and then cool on wire racks. In the work bowl of a food processor, pulse strawberries until smooth, about 1 minute. In a small bowl, whisk together 2 tablespoons water and cornstarch until smooth. In a medium saucepan, stir together pureed strawberries and sugar over medium-heat heat. Whisk in cornstarch mixture and bring to a boil; cook, stirring constantly, until thickened, about 1 minute. If You Like This Recipe...You'll Love These! kris & wesley (the loon) live for fun, food and fabulousness. 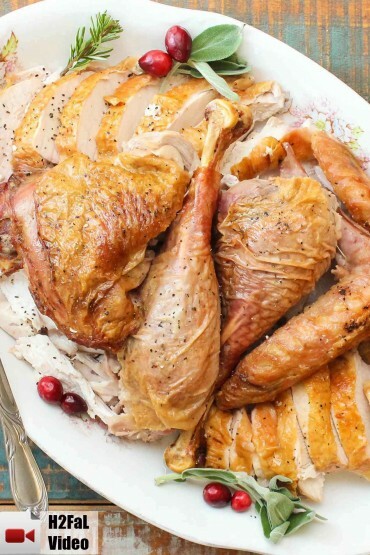 "how to feed a loon" is a celebration of just that. Come join us on this joyous culinary ride.